The Oil Filter Paper has good filter and absorbing performance and certain compressive strength ,the oil Filter Paper is applicable for filtering petrol, chemical products, industrial oil, and other industrial organic suspended cloud liquid, which is separate its solid and semi-solid debris. Fit for oil filter. Looking for ideal Un-Cured Petroleum Filter Paper Manufacturer & supplier ? We have a wide selection at great prices to help you get creative. All the Petroleum Filter Paper are quality guaranteed. 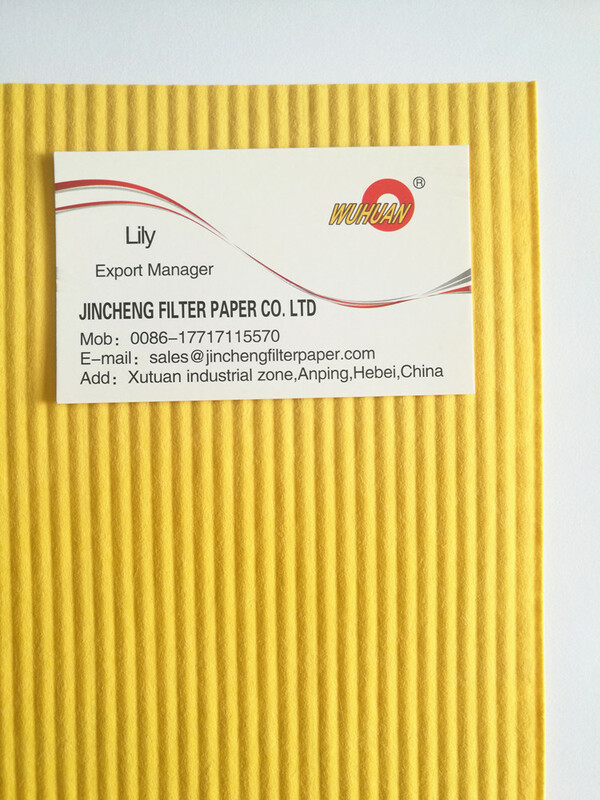 We are China Origin Factory of Heavy Duty Petroleum Filter Paper. If you have any question, please feel free to contact us.